The Rogue One | Spaceship! Spaceship! Spaceship! According to The Art of Rogue One, they went through hundreds of designs for “Jyn’s Ship” before settling on what became the U-Wing. It’s a bit of a shame then that for much of the movie the stolen Imperial Cargo Shuttle takes the limelight, even earning the eponymous call-sign “Rogue One”. That vehicle is also suspiciously absent from LEGO’s official set lineup, so Luis Peña decided to build one himself. The cargo shuttle is a lovely bit of design, fitting gracefully into an aesthetic established by the shuttle seen in Return of the Jedi. 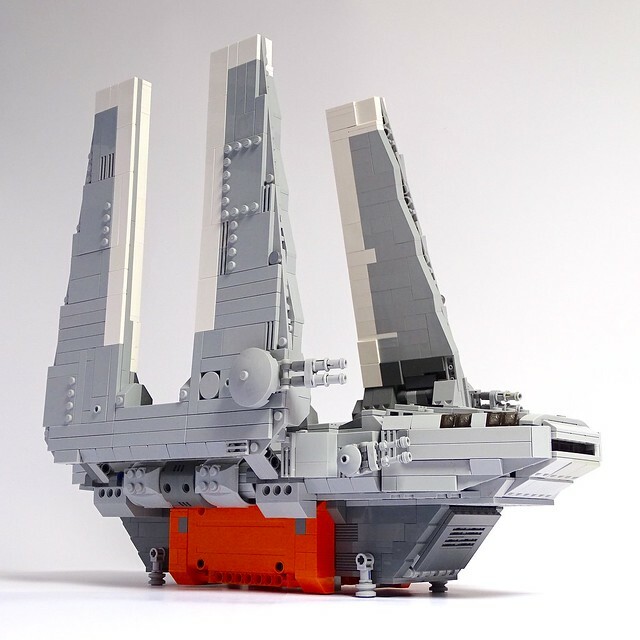 This is a great model that’s built in a very similar style to official LEGO sets. There’s a ramp that opens at the front and a cockpit where you can position the rebels ready to sneak onto Scarif. Luis has put the project on LEGO Ideas, where you can support it to be turned into an official set. Since it’s quite an un-glamorous subject, I think an official version would probably be a bit smaller to hit a lower price point; but it feels like a very logical subject. 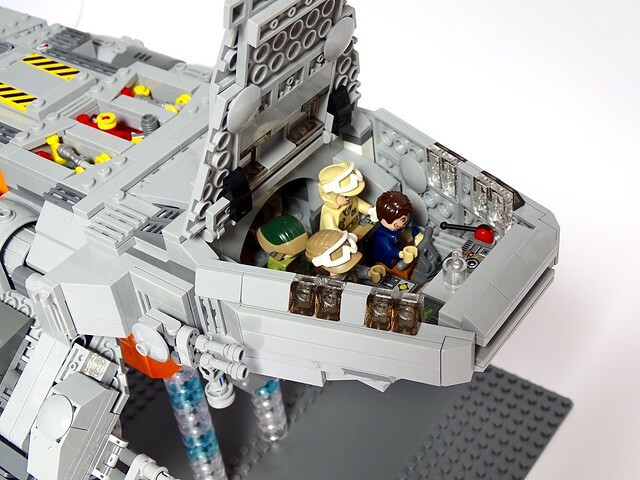 This entry was tagged ideas, minifig scale, MOC, star wars. Bookmark the permalink. ← From Neptune to, er, Neptune?